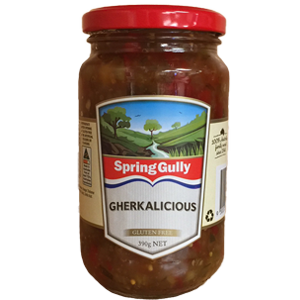 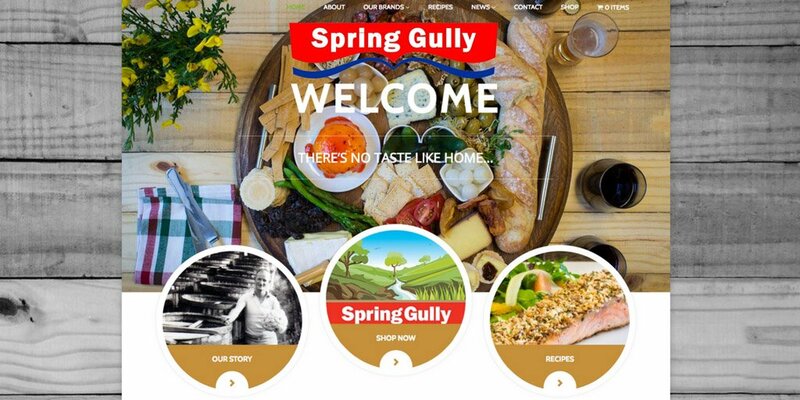 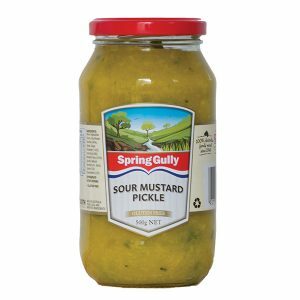 Sweet and full of chopped vegetables, Spring Gully Sweet Mustard Pickles make a delicious addition to your favourite sandwich, hot dog or cheese board. 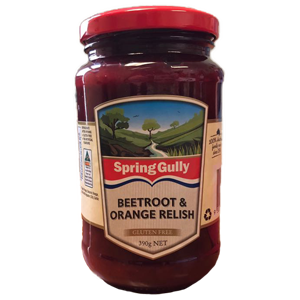 A family favourite, especially among children, with a recipe which hasn’t changed through the generations. 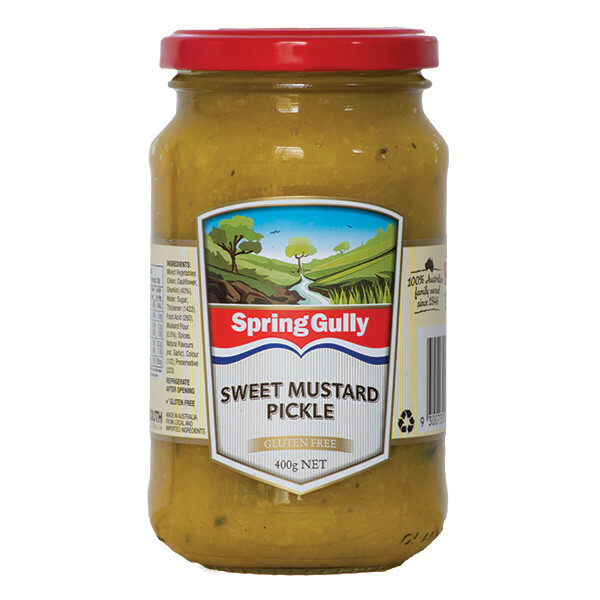 Sweet and full of chopped vegetables, Spring Gully Sweet Mustard Pickles make a delicious addition to your favourite sandwich, hot dog or cheese board. 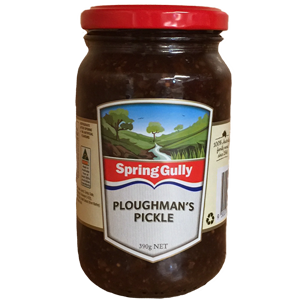 A family favourite, especially among children, with a recipe which hasn’t changed through the generations.